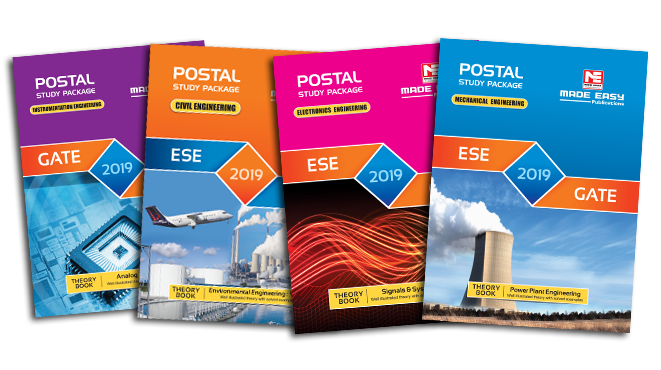 Postal Study Package is the distance learning program designed to meet the needs of the college going students and working professionals who are unable to join our classroom courses and/or wish to do self study. The study material is compact, effective and easy to understand. MADE EASY has made all efforts to provide an error free material introducing smart and shortcut techniques for better understanding. The study material is authored by experienced faculties supported by research and development wing of MADE EASY, considering the syllabus and standards of the competitive examinations. Note: On enrolling for Postal Study Package before 31st December 2018, candidate can avail respective Online Test Series 2019 for FREE. The presentation of the entire syllabus is systematic and unique as per the requirements of the examination. The content of the study material is designed as per the syllabus and exam pattern of the GATE, ESE and other competitive exams. The study material includes both technical and non-technical sections (General Studies, English, Engineering Mathematics and Reasoning & Aptitude). The study material includes subject-wise presentation of theory and practice sets, which includes quality questions along with answers and detailed explanations. Study material includes solved question papers of ESE and GATE of last 10 to 25 years. The study material is revised at regular intervals as per latest happenings, developments and changes in the syllabus. The study material is dispatched in 2-3 packages. Current Affairs for ESE & PSUs is sent a month prior to the examination. Though the study material is not exclusively designed for IAS (UPSC Civil Services Examination) but ESE study material fulfills all the requirements of IAS Examination as well, therefore civil services aspirants can also refer to study material of ESE. The study material has proved to be highly useful for all the examinations. The feedback of our students so far has been highly encouraging who have succeeded in various examinations like ESE, GATE, NTPC, NHPC, DRDO, ISRO, BEL, BHEL, BSNL, SAIL & many more. Delhi Centre: For tuition & admission fee, the D.D should be made in favor of “IES MADE EASY”. For books the D.D should be made in favor of “MADE EASY Publications”, payable at New Delhi. Noida Centre: For tuition & admission fee, the D.D should be made in favor of “MADE EASY Education Pvt. Ltd”. For books the D.D should be made in favor of “MADE EASY Publications”, payable at New Delhi. Jaipur, Hyderabad, Lucknow, Bhopal, Indore, Bhubaneswar, Pune, Kolkata, Patna Centres: For admission fee & tuition fee, the D.D should be made in favor of “MADE EASY Education Pvt. Ltd”. 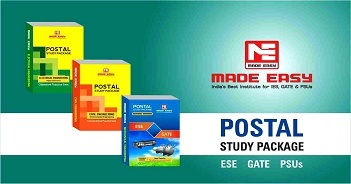 For books the D.D should be made in favor of “MADE EASY Publications”, payable at respective Centre. Take a printout of submitted registration form and send it along with the Demand Draft to the respective Centre. For our Classroom Programs, you may also apply through the Online Admissions Procedure. Bhubaneswar: Plot No.-1441, CRPF Square, Opposite of IOCL Petrol Pump, Odisha - 751015. Read-Learn-Practice-Excel concept. This course aims to develop strong foundation with concise, relevant, effective and easy to understand study material. MADE EASY is also providing 24×7 Online Discussion platform, which is social networking website for technical discussions wherein students can post their doubts, attach images, comment on posted doubts and get reply of the queries from the experts. MADE EASY Team regularly conducts seminars, workshops, guest lectures and organizes book stalls at various colleges across the country. 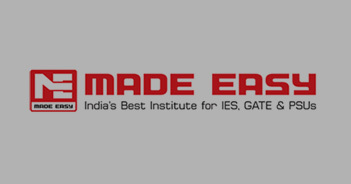 MADE EASY has dutiful team of experts to conduct seminars and workshops, under the guidance of Mr. B. Singh (Ex. IES) CMD, MADE EASY Group. These seminars motivate and help students to build confidence. The main motto is to add value to the society by increasing awareness among the needful students about various job opportunities and career aspects in different government sectors like Defense, Power generation, Production, Computer Science, Railways, Infrastructure development, Communication etc. Our experts have delivered seminars in prestigious institutes like IIT-Delhi, IIT-Mumbai, IIT-Varanasi, NIT-Delhi, MANIT-Bhopal, NIT-Jaipur, NIT-Kurukshetra, NIT-Hamirpur, DTU, Jamia Milia Islamia, NSIT, Amity University, Sharda University, Lovely Professional University, JECRC-Jaipur etc. Interested college authorities can contact us at corporaterelations@madeeasy.in for seminars, workshops, guest lecturers etc. From the year 2016, GATE has introduced virtual calculator in their examination interface. With physical calculators in real world i.e. in colleges, offices, etc., it becomes quite challenging to use virtual calculators suddenly. To ease out with this difficulty, we organize online practice sessions to make students familiar with the calculator, in turn which will save time and increase accuracy and speed in examination hall.